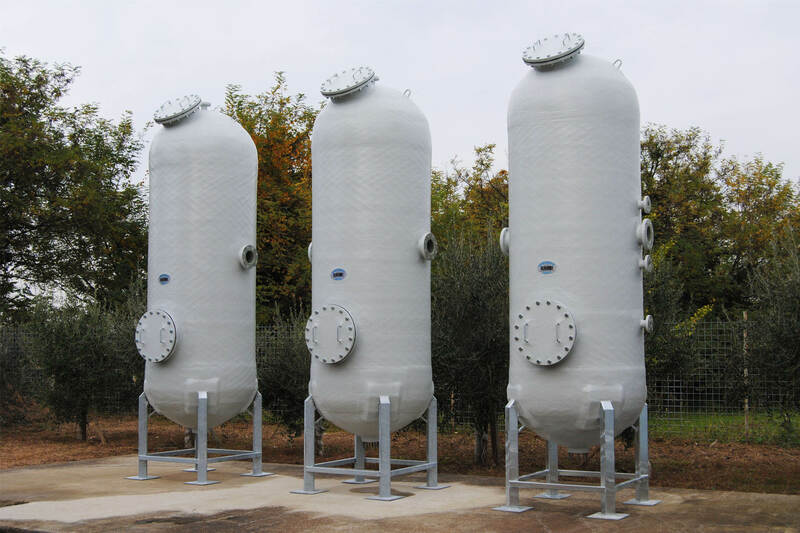 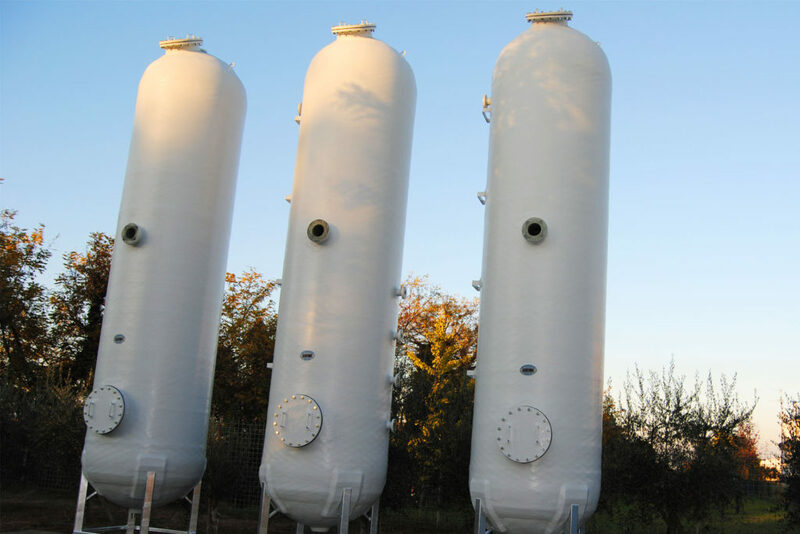 The vessel pressure tanks are made of GRP fiberglass. 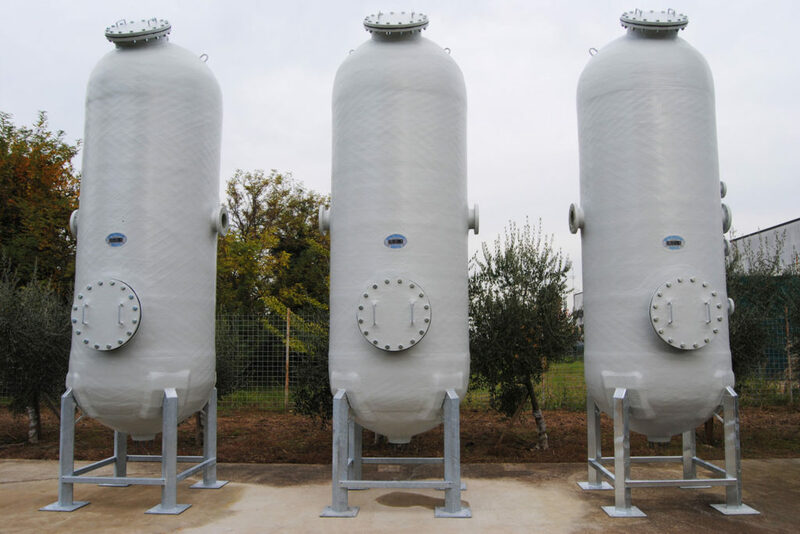 Both horizontal and vertical ones have a hemispherical ends to sustain the pressure and depression of fiberglass. 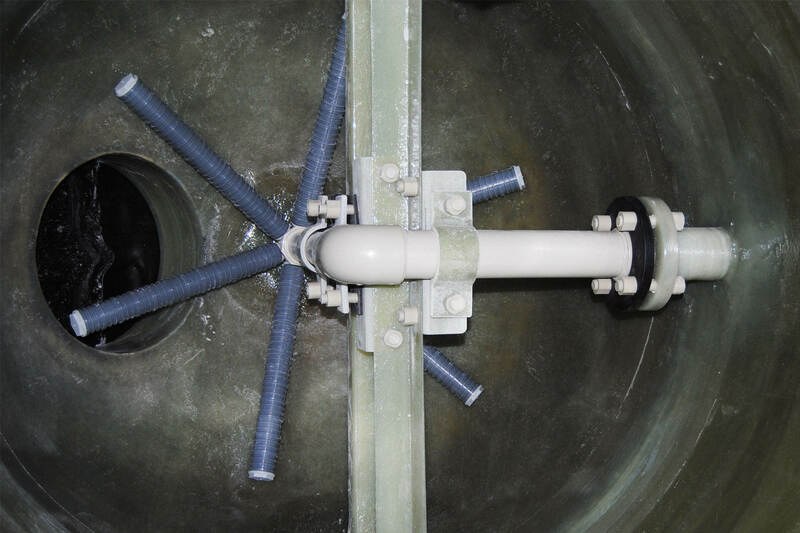 For this type of product we use the Filament Winding technology, reaching angles ranging from 55° to 60°.